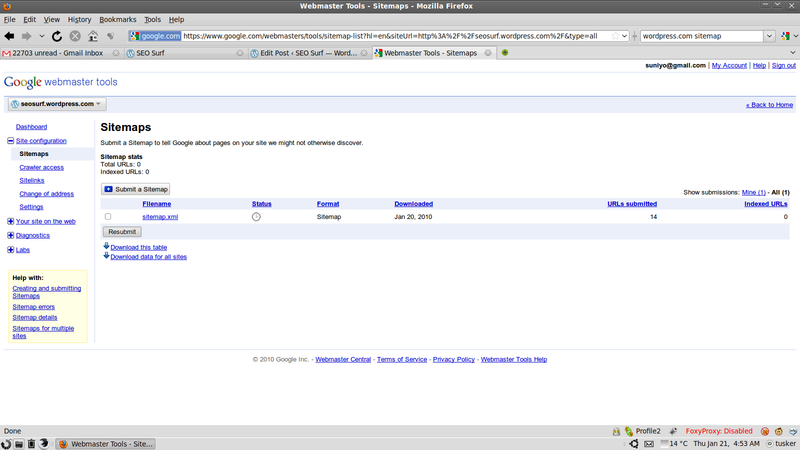 Submit XML Sitemap to Google Webmasters Tools. This image is licensed under the following license, you are free to use it for non commercial purposes as long as you link back to tusker as described below. Google Sitemaps Submission by Tusker is licensed under a Creative Commons Attribution-Noncommercial-No Derivative Works 3.0 Unported License. Based on a work at seosurf.wordpress.com. Hey there, You’ve got conducted an admirable job. I will surely digg them along with individually recommend to help my pals. I’m certain they shall be took advantage of this fabulous website. The just like you study my thoughts! Material understand considerably approximately that, as you published the ebook inside or something like that. I believe that that you can do with some p. h. to just make what it’s all about home a little, having said that as an alternative to of which, this is fantastic blog. A terrific study. I will surely return.